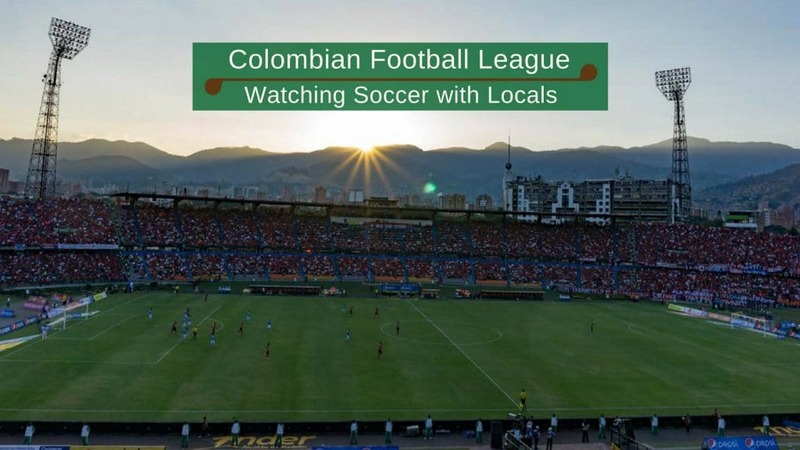 There is no denying that Colombians are crazy about their football and when we found out the 2016 season of the Categoría Primera A was starting, we jumped at the chance to go to see professional Colombian Football League action. We are living in Medellín for four months, and taking Spanish lessons while we are here. 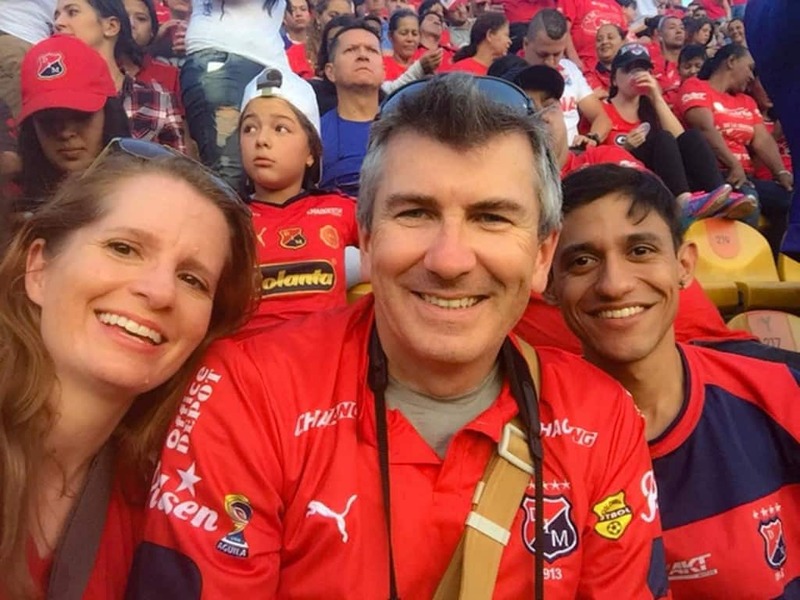 My Spanish teacher from Colombia Immersion, Daniel is a huge fan of Independiente Medellín, a team that has been around for 102 years. So I asked him if he could take Dorene and I, and our friends Mike and Kristen, to a game to educate us on the history and passion surrounding this team. Daniel was more than happy to share his love for the game with us. Fortunately for us, it was the home opener of the season! The game was at 5 p.m., yet Daniel suggested we go early to take in the pre-game experience. At 3 p.m. we could clearly feel the energy around the stadium. 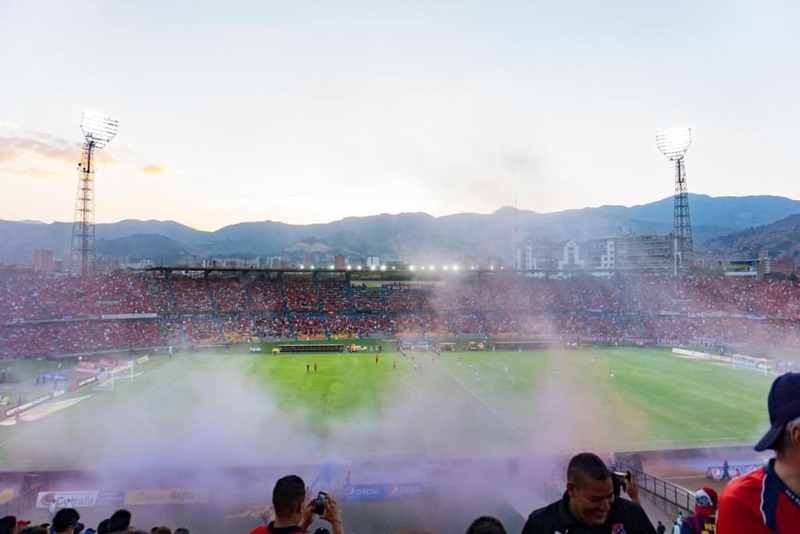 There are two rival teams in Medellín (Atlético Nacional S.A. and the Deportivo Independiente Medellín) who share the stadium at the impressive and renovated 40,000 seat, Atanasio Girardot Stadium, and Sports Complex. 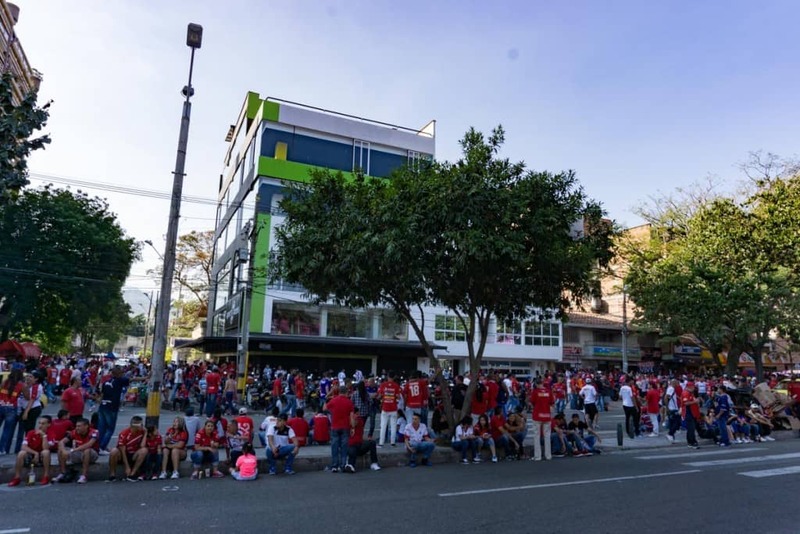 Fans line the streets outside the stadium before the game. 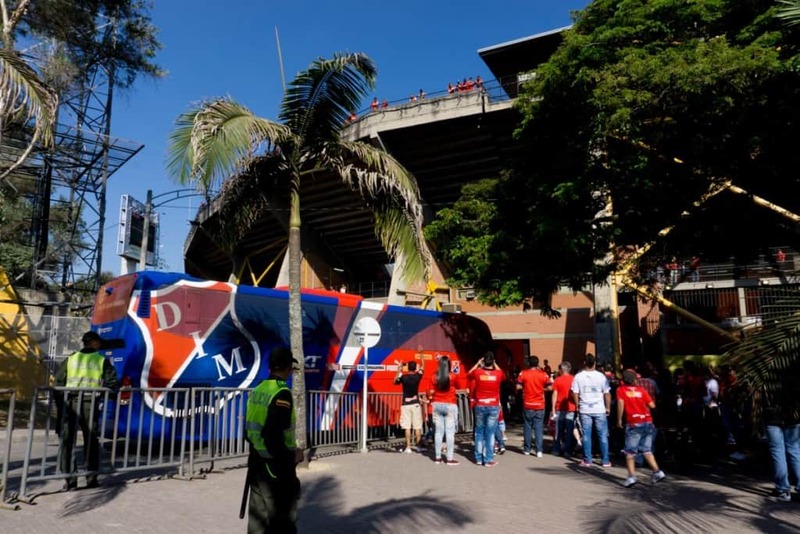 The Medellín team arrives as fans flock to the bus. Our pre-game routine started with a few beers as we sat back and soaked in the atmosphere around us. Daniel filled us in on what happens in the game and most important, he taught us a few of the Medellín football songs. We expected passionate fans in the stadium, nothing like North American sports, and we were right. Having a few local beers before game time and getting versed in local football etiquette. Of all the activity, the most intimidating were the riot police beside us, preparing for any possible issues. Riot police getting ready for the game. We quickly realized how out of place we looked. 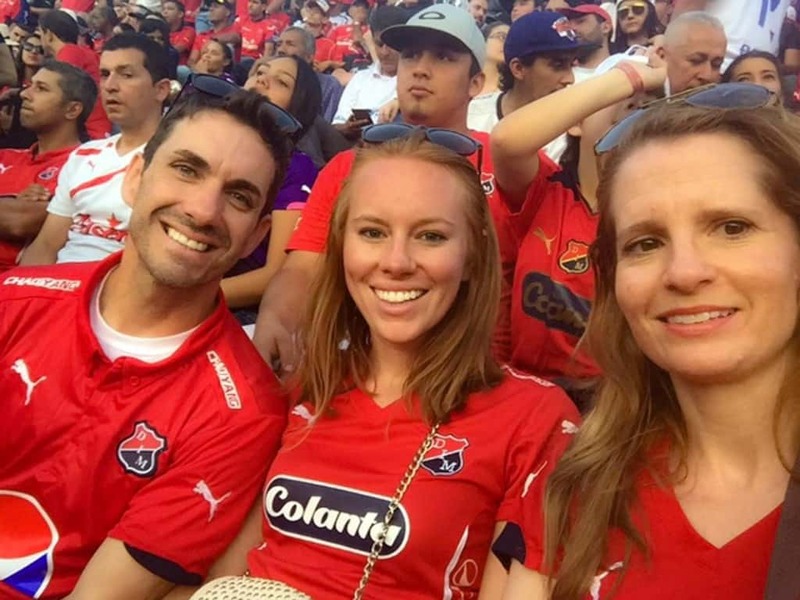 Not because we were foreigners, but because we were the only people not dressed in red or wearing the Independiente Medellín colors! A few more beers later, we decided to go shopping! A souvenir vendor outside the stadium. 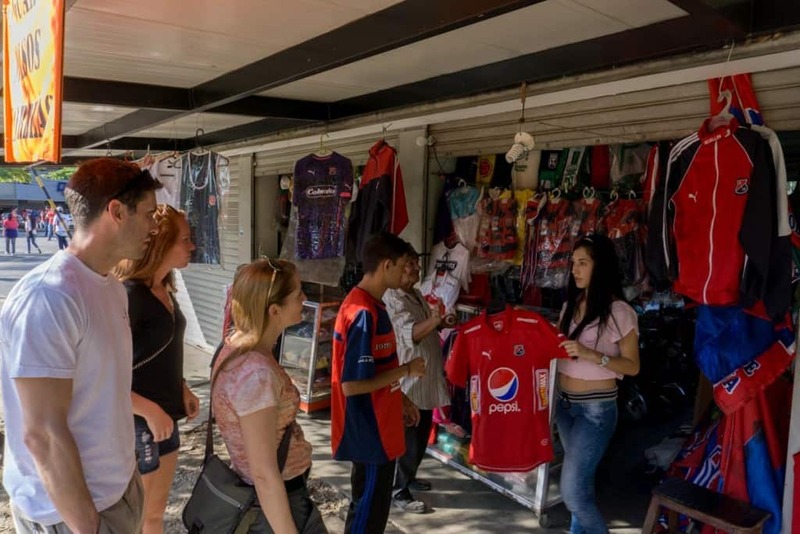 Negotiating the price for Medellín jerseys before the game. Now we fit in! That’s us with Daniel. And our friends Mike and Kristen with Dorene. Cheering on Medellín. Before the game even started, massive groups of fans with banners, drums, and trumpets began to play many of the local Medellín football songs (thanks to Daniel we now knew a couple of them). They didn’t stop for the entire game, a new song would start and the rest of the stadium followed along. The atmosphere was incredible, smoke canisters streaming blue and red through the air, cheerleaders parading on the field and fans yelling their disappointment at the referee’s calls. 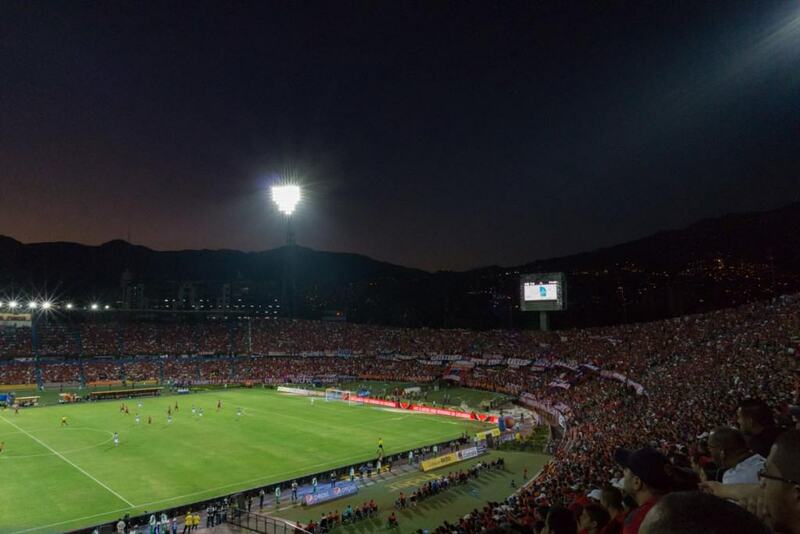 The game itself was boring, Medellín played terribly, but it didn’t matter to us. From late afternoon in the beating sun to early evening under the stadium lights, this event is something you don’t want to miss. 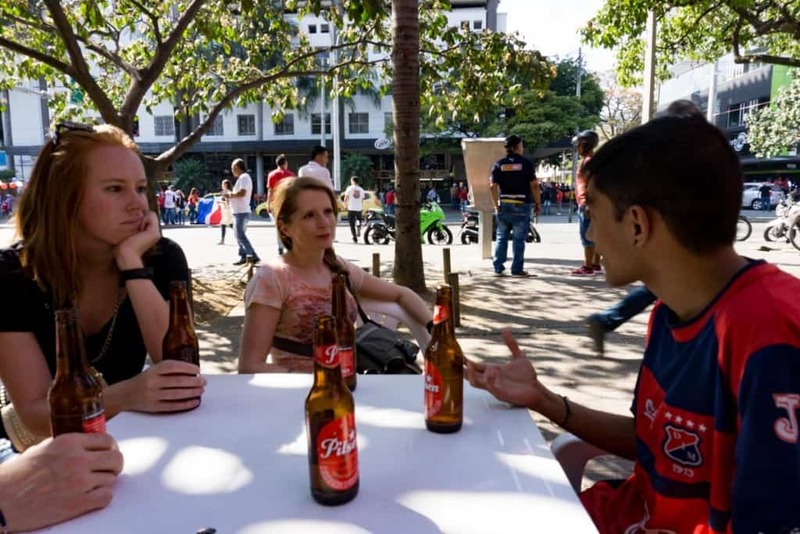 Go to watch football in Colombia with a local, it’s essential to understand the history, the rivalries, the game and what to expect. Of course, they will have no problem showing you their passion for the sport. The stadium is easy to find. Head on the Metro line B to the Estadio station stop. Ticket costs range from 15,000 pesos to 45,000 pesos. 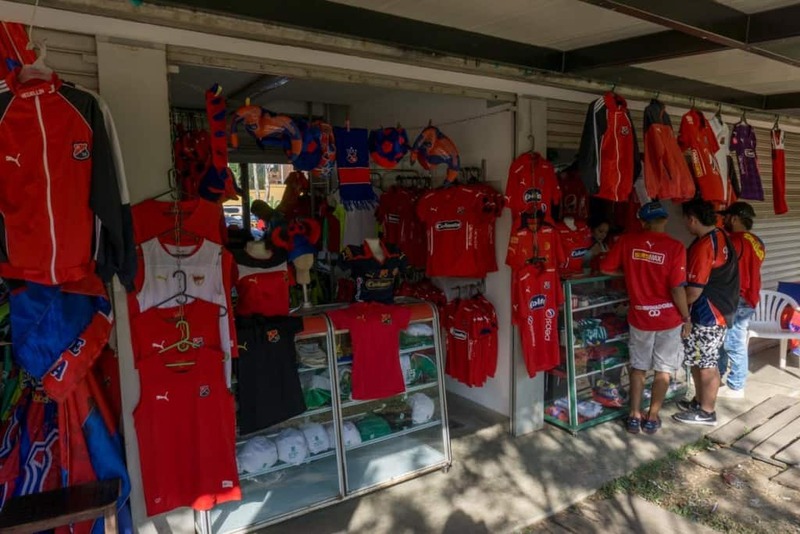 They can be purchased at the stadium (they are rarely sold out except for playoffs), or they can be purchased El Tesoro shopping mall in Poblado. 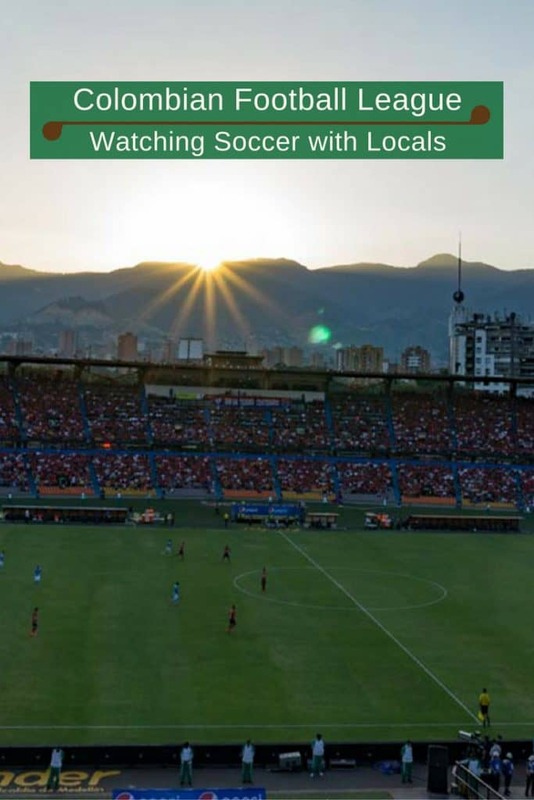 Have you been watched Colombian Football League Soccer? 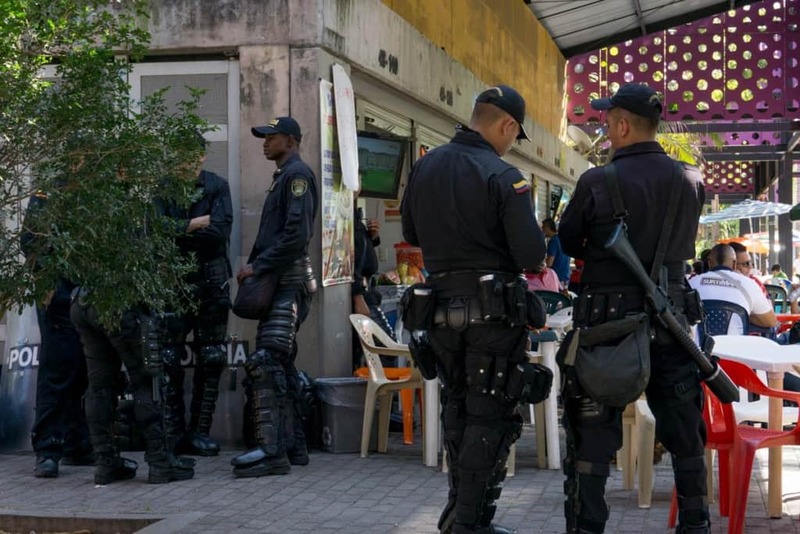 What about in Latin America? We’d love to hear about your experience. 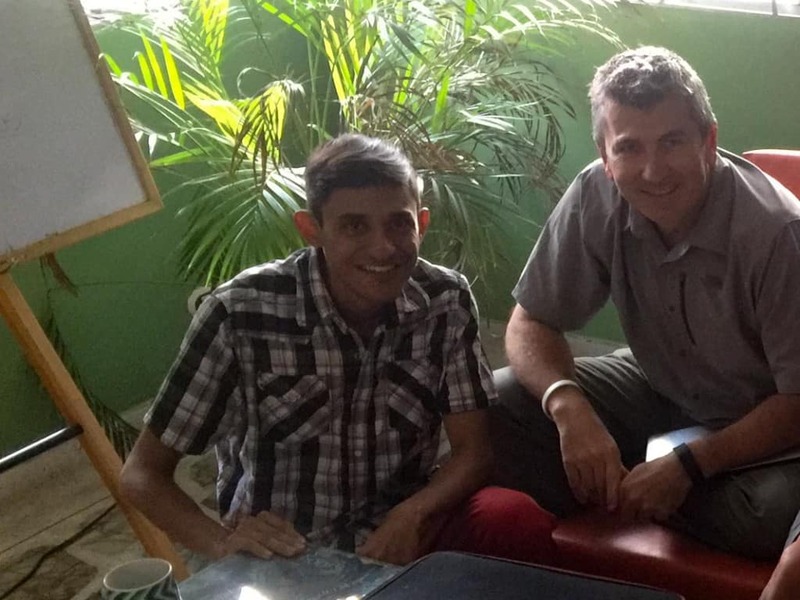 For all of our posts about our extensive time in Colombia, you can find them here.